The 2018 TVS Wego gets new graphics, new colour schemes and added features. TVS Motor Company has launched a refreshed version of the Wego for 2018 and the festive season. The 2018 TVS Wego gets new graphics design, new colour schemes and a few new added features as well. The seat is a new unit and the scooter also now gets a pass-by switch and a maintenance free battery. One can opt for sporty wheel-rim stickers along with a 20-litre utility box as well. Aniruddha Haldar, Vice President (Marketing) Commuter Motorcycles, Scooter and Corporate Brand, TVS Motor Company said, "At TVS Motor Company, we have brought in interventions across our product portfolio based on evolving customer requirements. TVS WEGO is inspired by the youthful lifestyle of our target audience. We are confident that this refresh of the award winning TVS WEGO, will resonate with our customers." The 2018 Wego continues to get the same 110 cc single-cylinder engine which makes 8 bhp and 8.4 Nm of peak torque. 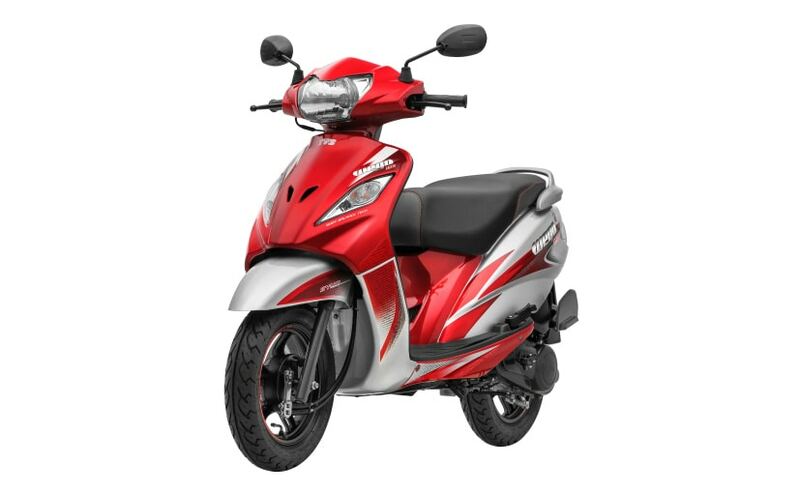 The Wego has a claimed fuel efficiency of 62 kmpl and continues to get features such as digital speedometer, full-metal body along with body balancing technology as well. The 2018 TVS Wego will be available in four colours, which are Red, Blue, Grey and Black.